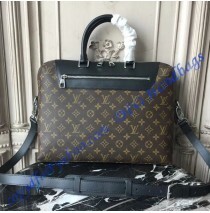 Over the years, Louis Vuitton managed to develop and provide some impressive creations which are still very popular on the market and among the users. As we all know, they are experts when it comes to offering business-related fashion statements. 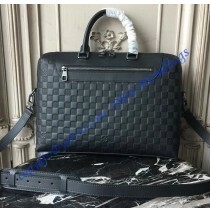 Now we will have to explain why the Louis Vuitton Damier Graphite Porte-Documents Jour is one of them. The bag is versatile. It can be carried in your hands, over a shoulder or cross body. It is made of special Damier Graphite and it carries a special, Porte-Documents Jour name. All of this looks impressive already, but we still haven’t mentioned the main part. The main part is inside the bag actually. You will get 5 compartments, of which one is designed for iPad. The bag is massive so it can be even used for laptops of 15 inches. Cowhide leather trimming is present as well. All of this is protected by a zipper closure and will make sure all your belongings are safe at all times. And yes, there is an additional zipper pocket on the exterior. Metal hardware is present as well. It is durable, looks great and it is one of a kind at the moment. 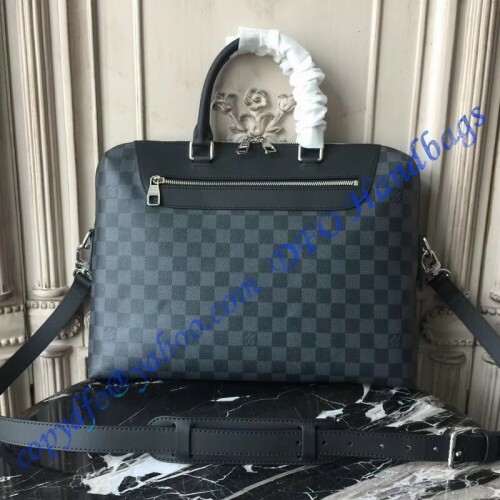 The bottom line when it comes to the Louis Vuitton Damier Graphite Porte-Documents Jour is that people who have a need for practical and big bag should consider this model as soon as possible. Others, who simply believe it is a good-looking bag will be even more than just satisfied. We should add that this is a business bag which can be worn by everyone. It is a truly remarkable creation which will be appreciated by all of the future owners.